Attorneys for the Pittsburg Zoo & PPG Aquarium have filed court documents that place blame on the mother of a two-year-old boy who died after falling over a wooden railing into a wild dog exhibit at the zoo. Four-year-old Maddox Derkosh was with his mother, Elizabeth Derkosh, at the Pittsburgh Zoo & PPG Aquarium when his mother lifted him up above a wooden railing to get a better look at the zoo’s wild dog exhibit. 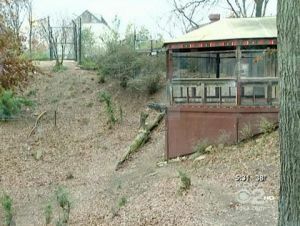 According to news reports, the boy unexpectedly fell from his mother’s grasp into the exhibit below, where he was attacked by the dogs and died from his injuries. "The injuries and damages sustained by Maddox Derkosh, including Maddox Derkosh's death, were caused solely by the carelessness, negligence, and/or recklessness of Elizabeth Derkosh," the zoo's attorney wrote in the court filing. She "knew or should have known he could fall into the exhibit" and failed "to maintain a proper grasp of Maddox Derkosh after lifting him over the railing." The District Attorney investigated the boy’s death and reportedly determined that it was a tragic accident and decided not to pursue criminal charges against the boy’s mother or zoo officials. However, since the burden of proof is much higher for criminal cases than it is to establish recklessness and negligence in a civil action, the District Attorney’s opinion about the criminal charges are mostly irrelevant. The District Attorney’s investigation revealed that the young boy had vision problems and wore glasses, which was part of the reason that his mother had lifted him up for a better view of the zoo exhibit. The family’s attorney has argued that zoo officials had been told in the past that parents often lifted their children above the railing, and they believe that should have forced the zoo to take further precautions. If you or a loved one has a child injury claim, contact Davis Law Group.